While Carman had been around cattle her whole life—and the animals she is raising are direct descendants of the Herefords Weinhard originally brought to the ranch—she had no idea how to finish the animals on grass, since much of that knowledge had been lost in the industry’s rush to finish cattle faster on grain in feedlots. Carman began to research and implement a practice called holistic management, which is based on the idea that grass is your crop, and a portion of it needs to go back into feeding the land and the soil microbes. A tool of regenerative agriculture, holistic management integrates social, economic, and environmental factors to help the farm or ranch succeed economically, improve the health of the land, and provide local communities more nutritious food. As for her uncle’s reaction to the changes he’s seen since she came back 15 years ago? Carman said he’s now her biggest fan. Initially Carman and her husband sold beef in shares, where customers would commit to buying a half, quarter, or eighth of a carcass. They were eventually joined by a neighbor in Wallowa, fellow grass-fed beef rancher Jill McClaran of McClaran Ranch, and they were able to start supplying wholesale clients including Oregon Health Sciences University (OHSU) in Portland, and Bon Appétit Management Company (an on-site restaurant company, since acquired by London-based Compass Group). After a customer chipped a tooth on a piece of bone that made it through the grinder at the processing plant and sued, Carman created two LLCs to reduce her liability. Then she took on investors in 2017 to expand her reach. 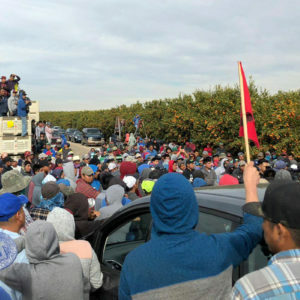 The additional capital allowed Carman to work with larger wholesale accounts such as New Seasons Market, a chain of West Coast grocery stores. 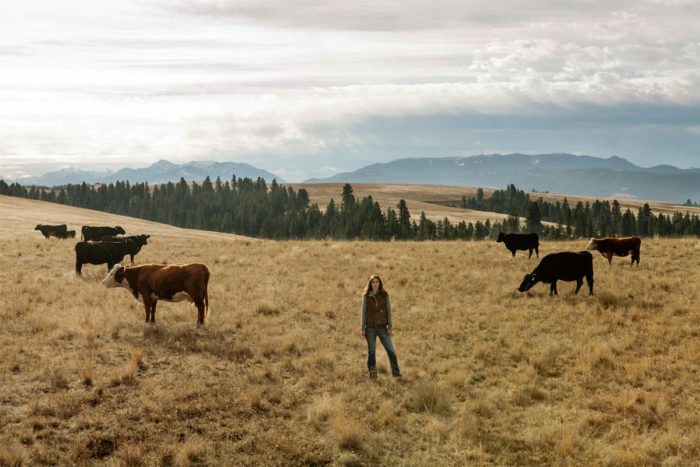 Working with a core group of six like-minded producers with ranches from Oregon to Nevada, she is able to supply meat year-round. A woman in the male-dominated field of ranching, Carman notes that women constitute much of her team: she employs a woman ranch manager and director of business development; she has partnered with other women ranchers like McClaran to supply wholesale clients; women serve on the Carman Ranch board and comprise half her investors; and she considers women to be among her most innovative customers. The model Carman has built so far has already proved an inspiration to other Northwest producers looking to scale up their businesses. Ecotrust’s Oborne said that much of what the nonprofit built at the Redd on Salmon Street, a development designed to support local food enterprises and scale a more robust regional food economy, was based on the work Carman has done. 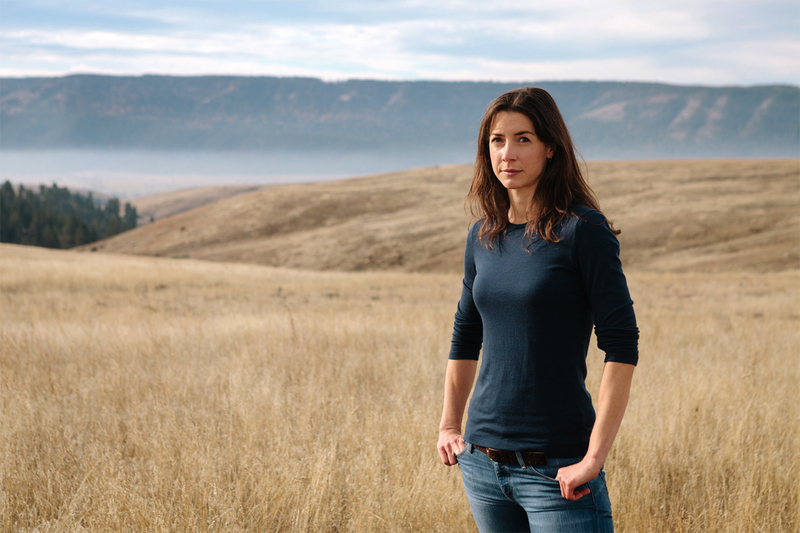 “Many other regenerative farms and ranches in rural Oregon and Washington are now following in her footsteps and building their businesses in the Pacific Northwest thanks to the trail Cory has blazed,” Oborne said. Barbour said her company believes Carman’s commitment to soil, human and animal health, and maximizing the value of production for the regional economy aligned with Burgerville’s vision for the future, cementing the relationship going forward. 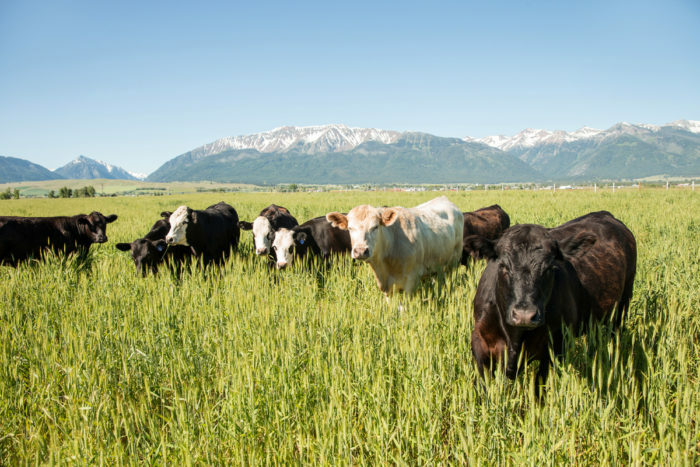 Calling grass-fed beef “an elegant nexus of all of the issues,” Carman believes that cattle are a necessary component of fertility for every cropping system. That’s because the bacteria in the rumen of the cattle makes what she refers to as “the soil/food web” more vibrant. When we harvest the cattle, we harvest the micronutrients out of the soil, she said. 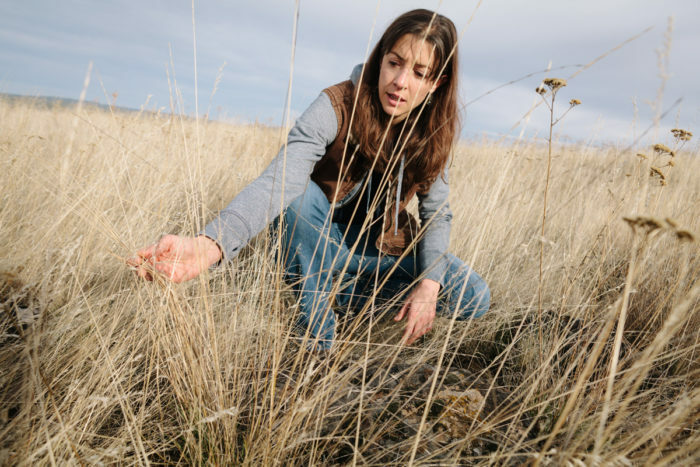 “The soil/food web needs to be totally functional to get the micronutrients, [and] that’s what we’re missing in our food right now,” she said. It’s not only that there’s a better fatty acid profile in grass-fed beef, Carman said of studies showing that grass-fed beef is higher in omega-3 fats, vitamin E, beta-carotene, and conjugated linoleic acid (CLA). 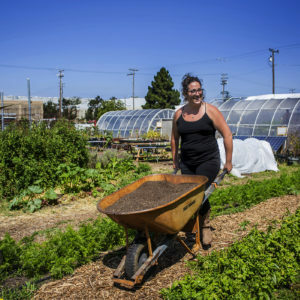 She points to what she calls the human health epidemic of chronic illness and disease, believing that it’s related to how incredibly degraded the soil is from overuse of fertilizers and other industrial practices. 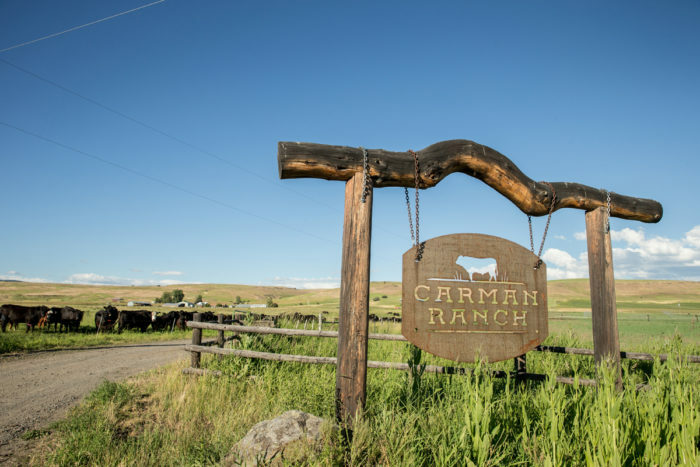 Saying that grass-fed beef is an important catalyst that brings farmers and ranchers together, Carman feels that it’s a place to start the conversation about regenerative agriculture and rebuilding the food system. “The push is always for any brand to go national,” she said. “Instead, we need to think about production on a regional basis and build out and support appropriately scaled infrastructure. That’s where you can really have the magic. Top photo: Cory Carman portrait © Nolan Calisch. Keep telling these wonderful stories of agricultural innovation -- I love reading them and growing my knowledge of the potential for regenerative agriculture to restore our climate and our food system. Thanks for sharing this inspiring story! I'm a custoner of Carman Ranch in Portland. I love their products, fair pricing, and local pick-up options. Really enjoyed your story, have been trying some of these ideas in Oregon and Eastern Washington with lambs. Are you looking for new investors? This is incredibly inspiring and positive. Thank you! That's a great suggestion, Grahame - we've been hearing lots of cool things about the benefits of incorporating seaweed into livestock production! Look forward to researching it more. FABULOUS !!!! Wishing Carman all the luck in the world. Happy that my great grandchildren have a chance at eating really healthy meat. Great article and I admire your courage and dedication to your Family's Legacy... That is our hope for this place to create something to leave our children... We raise Black Angus (Grass fed/finished) and would love to know more about your process in enhancing soil and grass quality Cory. My husband is a retired Agriculture teacher and has a degree in Agronomy and is working towards better soil etc. We are now growing organic garlic as well. Would love to chat.. Thank you, Aldon - will do! Cory Carman, thank you for what you do! Your hard work, knowledge and good sense are appreciated. May at least one of your kids follow suit! Very encouraged by your work, I would love to come for a visit to the ranch. Let me know if you do any tours or are open to a visit. I’m very interested in your program. We have a small ranch about 30 miles south of Spokane. We run about 100 pairs. I would like our operation to be more sustainable and organic. The economics are pretty difficult now, we would not like to see the ranch sold for development. I would be happy to have the chance to go over ideas that might be possible in our situation. Would love to know how to access the research data that demonstrates Improvements. It’s Exciting. Joel Salatin, Polyface Farm in Virginia's Shenandoah Valley, wrote a number of books about Grass Fed/Finished beef and chickens in 1998 which are very informative and interesting including Salad Bar Beef, You Can Farm, Pastured Poultry Profits, and Everything I want to do is Illegal. We do not have livestock, not do we intend to...hops and small grains keep us busy at present, but very inspiring nonetheless! Can always learn from other Farms and Ranches putting to use, and developing new, sustainable practices for soil and animal health. That was a very inspiring and exciting story! Very much looking forward to following along and supporting the movement! This is an inspiring article. The world needs more of this sort of story! Bravo and Brava!!! Thank you for this article and for all you've done to educate the public about the beauty of grass fed beef and rotational grazing being a means to rebuild the soil! Now we need to reach those well-meaning but misinformed persons that think they can save the planet by forcing everyone to go vegan. 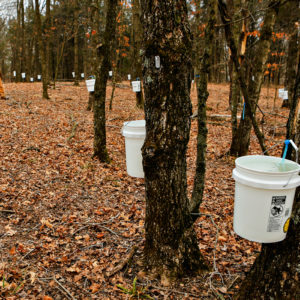 Though this was an excellent article, I was somewhat disappointed that there was no mention of the pasture lands being carbon sinks and also pasture provides for a wide variety of plant life. Diversity is so important. Thank you again.